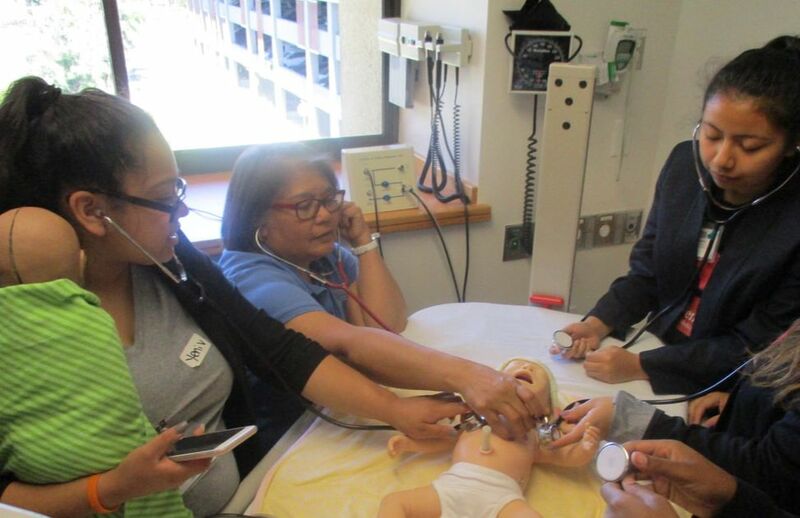 The 2019 Summer Internship is a four (4) week, full-time program where MIMS students are immersed into direct patient observation, shadow mentors in patient care settings, interact with a broad spectrum of health professionals/staff and attend daily skill/leadership development seminars. Participants will observe patient care at a busy, urban emergency department, out-patient clinics and private clinics. In addition to the clinical segment, participants will be educated about the prevention and management of health issues disproportionately affecting marginalized communities. 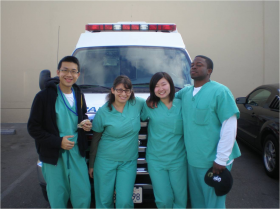 College students will also work on a hospital-based research project. 1. What are the daily start and end times of the internship? Answer: All interns should plan to be in attendance from 9am-4:30pm Monday through Friday. In addition, interns should allot time outside of the internship to complete any required assignments. There will be days program activities extend past 4:30pm (there will be several networking events in the evening). Interns will be advised of these days in advance. Attendance is mandatory. 2. May I work or attend summer school while participating in the internship? Answer: The internship is a full-time commitment therefore working or attending summer school concurrent with the internship is not advised or feasible. Working during the weekend or evenings may be feasible, however, interns are expected to arrive prepared on Monday with any assignments and presentation materials completed. Answer: No housing is provided. The stipend may be used to pay for housing accommodations, however, stipends will be distributed upon the completion of the internship. MIMS does not provide assistance in looking for housing. Answer: Occasional meals and snacks will be provided. 5. Will I be reimbursed for my transportation expenses? Answer: Some transportation assistance will be provided but will pertain primarily to field trip days that require interns to travel to other sites. Interns should prepare their mode of transportation to and from the internship prior to the start date. 6. I am having trouble uploading my resume and/or transcript. What should I do? Answer: Make sure that you are uploading the document in a word or PDF format. If you are still unable to upload the document, please email summerinternship@mimscience.org and describe the specific problem you are having. 7. Do I need to be a U.S. citizen to apply? Answer: No. Applicants are considered regardless of their immigration status. 8. Do I have to reside in the Bay Area? Answer: All high school applicants must reside in the SF Bay Area. College students do not need to reside in the Bay Area but priority will be given to college students currently residing and/or originally from Oakland, California. 9. Do high school students need to attend an Oakland Unified School District High School (OUSD)? Answer: Priority will be given those applicants who are currently attending a non-charter OUSD High School. High School students not attending an OUSD high school are still encouraged to apply. If you are unsure please see the list of OUSD high schools at OUSD High School List.